We are experienced researchers and practitioners of artificial intelligence and machine learning. We welcome inquiries about collaborations, joint projects and training efforts in these areas. Points of contact and bios for the principals of AI Data-Miner LLC are listed below. Sholom M. Weiss, Ph.D. - principal - is a professor (emeritus) of computer science at Rutgers University and a Fellow of the Association for the Advancement of Artificial Intelligence. 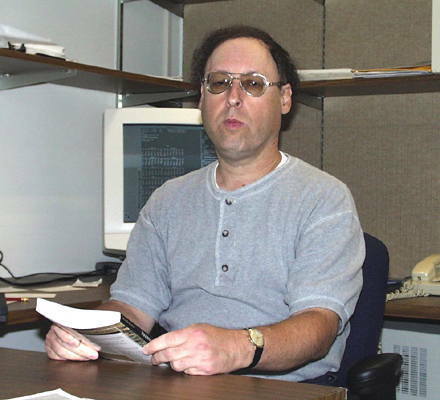 During his academic career, he was the developer of many widely-cited knowledge-based systems and a consultant to many companies in computer, healthcare and energy industries. From 1998 through 2013, he was a member of the research staff in the math department at IBM's T.J. Watson Research Center where he developed machine learning algorithms, analyzed customer data and developed applied systems from health care to manufacturing to sales and marketing. He is a co-author of leading texts on predictive data and text mining and the author of nearly two hundred scientific papers on artificial intelligence and machine learning. In a 1997 predictive data-mining book, co-authored with Nitin Indurkhya, they introduced the term "big data," a term that has made its way into popular media. Sholom can be reached at . Nitin Indurkhya, Ph.D. - principal - founded Data-Miner Pty. Ltd in 1997 and has been focused on data-mining, text mining, language technologies consulting and education since then. He is an adjunct faculty member at the School of Computer Science and Engineering at the University of New South Wales in Sydney, Australia and also teaches online courses at statistics.com. Most recently he was Director, Cloud Research Lab, Samsung Research America. Before that he was Principal Research Scientist at eBay. He has been a professor/researcher in a variety of universities and industrial research labs in Australia, Bhutan, Brasil, China, India, Japan, Malaysia, Portugal, Singapore, Spain, USA and Vietnam. He has an undergraduate degree from IIT, Kanpur and Ph.D. from Rutgers University. Nitin can be reached at . A.I. Golem - Chief Data Scientist - a premier student of Sholom and Nitin who personally analyzes data from each application using diverse algorithms and multiple machines. A.I. Golem sends out results from .